A graduate of Hong Kong Polytechnic (Higher Diploma with Credit in Institutional Management and Catering Studies) and Canterbury Business School at the University of Kent, UK (MBA with Distinction), Mr. Lee consolidated his studies with Sales and Marketing assignments in various travel business and project positions in Hong Kong and Beijing. Mr. Lee was appointed Director of Marketing for the Grand Hyatt Hong Kong in October 2002 and Resident Manager in January 2005. 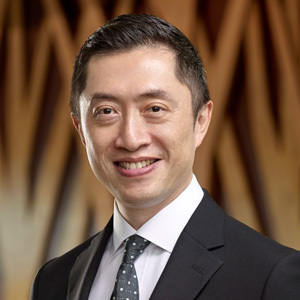 In January 2007, Mr. Lee joined Hyatt’s Asia Pacific office as Director of Marketing – Asia Pacific, Hyatt International. Prior to Mr. Lee’s appointment as the opening General Manager of Andaz Shanghai in 2011, Mr. Lee was Director of Global Sales. He joined Hyatt Regency Hong Kong, Shatin, the “Teaching Hotel” of The Chinese University of Hong Kong, as General Manager in 2013.